Verizon Communications Inc. will buy AOL Inc. in a $4.4 billion deal announced just a few hours ago. 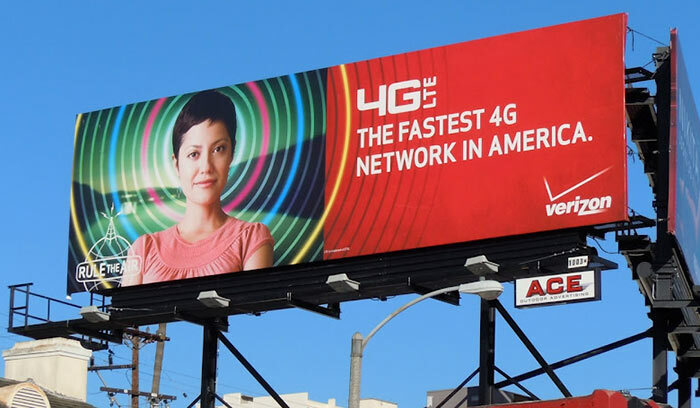 Verizon is a leading US provider of broadband and other wireless and wireline communications services. The acquisition deal has been done to drive future growth with an eye on digital and video platforms and the IoT. Last night AOL shares closed at $42.59 but are now worth $50, as offered by Verizon. That's a 17.4 per cent premium on Monday's closing price. Reuters reports that the deal includes $300 million of AOL debt and will start as a tender offer followed by a merger, "with AOL becoming a wholly owned subsidiary of Verizon," at the end of proceedings. While many will know the AOL name from its internet connection services it is the company behind a host of very successful websites and has its own ad and video platforms. The ISP activities of AOL still bring in considerable business, it was recently revealed that it still had 2.1 million paying dial-up subscribers in the US, but this side of the business continues to slide, as you might expect. Verizon and AOL will go forward with the aim of providing "a premium digital experience based on a global multiscreen network platform". Both companies talk about the importance of video and will work on this platform, IoT, global content brands and advertising to grab as much of the near $600 billion global advertising industry spend as possible. However according to the BBC, AOL currently has just 0.74 per cent of this market, it is dominated by Google (31 per cent) and Facebook (8 per cent). Big name popular AOL brand websites include the likes of The Huffington Post, TechCrunch, Engadget, MAKERS, Advertising.com and AOL.com. This Verizon purchase will stem the rumours that another past-its-prime dot com company, Yahoo!, will buy it up. To give readers an idea of the scale of decline of AOL's worth over the years - it was bought by Time Warner in 2000 for $160 billion. Has Verizon got a good deal or paid too much? Wow, AOHell are still going?…and getting sold for £2.8b……a feather just knocked me over….. Thank god. For some reason I immediately assumed Verizon were moving into the UK market and I clenched so hard. Still needs to be approved by the FCC and DoJ here in the US, and then the stockholders still need to be willing to sell. I think AOL is LOLing all the way to the bank. Actually it was the other way around. AOL bought Time Warner for $164bn. I was working at AOL/Netscape then an nobody I was working with could quite believe it.